Cannabis oil is a cannabis based product obtained by separating the resins from cannabis flowers using a solvent extraction process. As the artist held his orb up to the sky, you might sooner guess that we were touring Saruman’s tower in Middle Earth than an extraction facility in Seattle. 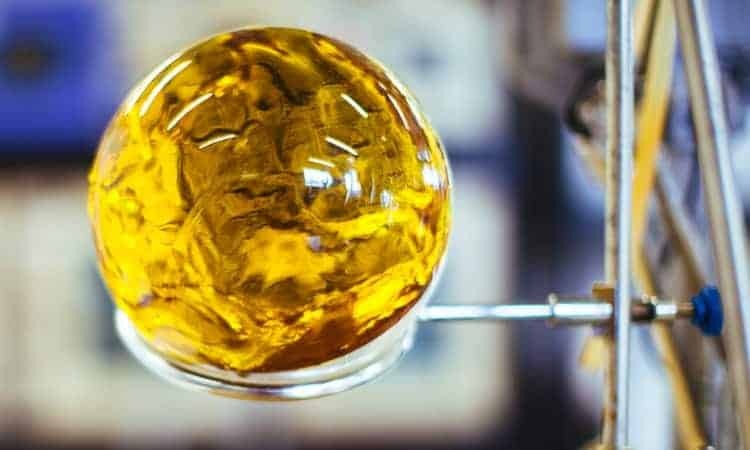 But this globe is no crystal ball orpalantir – it’s 3,000 grams of pure cannabis extract measuring up to a staggering 99% THC. 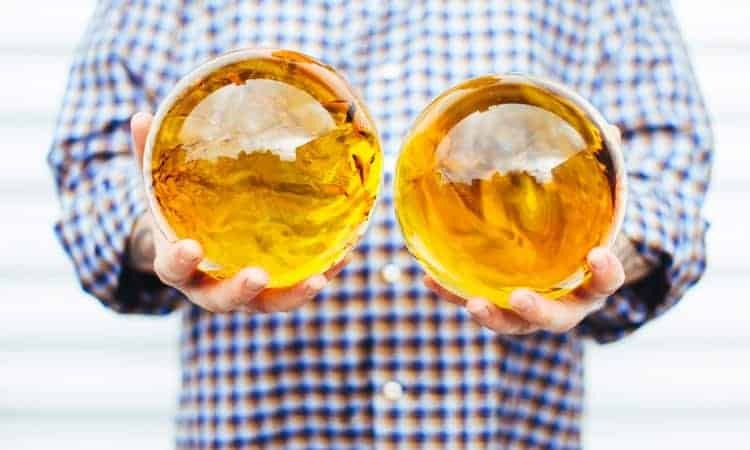 Its creators at X-tracted Labs call them Dragon Balls (like in the popular manga, and I can only imagine that collecting seven of these would get you high enough to think you’ve summoned Shenron), and beholding them in-person is somewhat of a religious experience for any connoisseurs of oil. 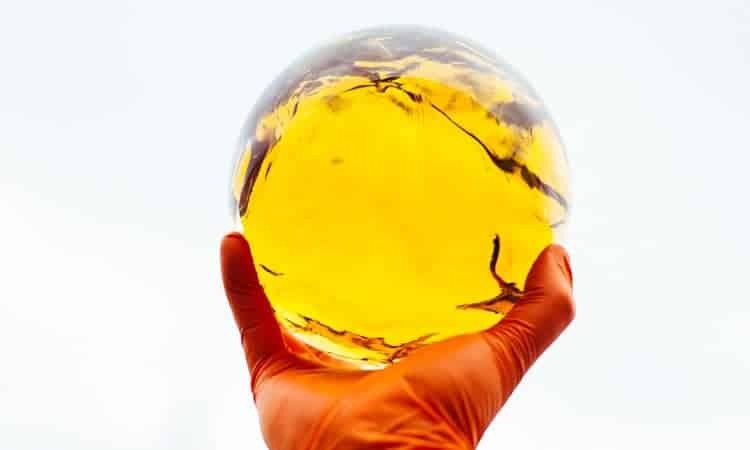 Starting as a hydrocarbon, the concentrate – known as “The Clear” – is made using a careful extraction process that strips everything from the cannabis plant except its essential compounds known as cannabinoids. Journeying through chambers, coils, and glass beakers, the final product gathers in a round glass container like a thick, golden potion. 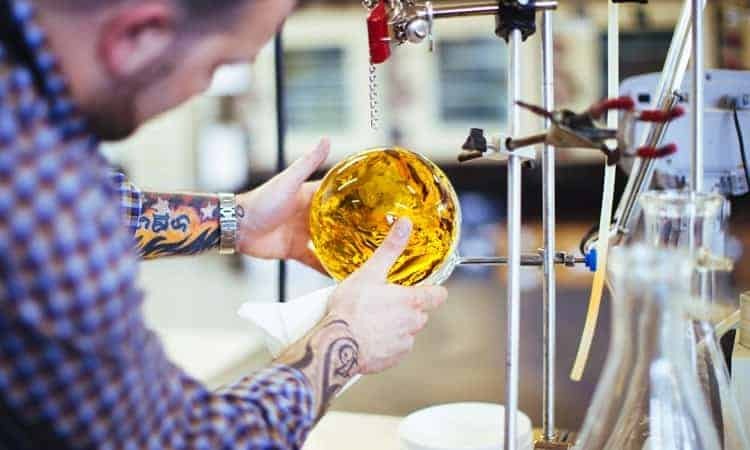 Its liquid gold appearance alone is enough to satisfy the senses, but the real magic behind these orbs is in their aroma and flavor. The alchemy begins with a thing called terpenes, or aromatic oils that naturally occur in many types of vegetation, cannabis included. These flavorful compounds not only provide aroma and flavor, they’re also known to modify the effects of THC and other cannabinoids to make a strain more uplifting, sedating, stress-reducing, and so forth. Most extraction processes, however, destroy these sensitive and volatile compounds. Understanding the important role terpenes play in the cannabis experience, the professionals at X-tracted championed a technique of re-introducing terpenes after the extraction process to create customized effects and flavor profiles – profiles that can either mimic the natural chemical fingerprints of specific strains or new profiles that emphasize specific flavors. To demonstrate, they pulled out a collection of cans with words like myrcene, geraniol, pinene – even a Golden Goat bottle which captured the terpene fingerprint of that particular hybrid strain. For the traditionalists, The Clear is also processed into strain-specific concentrates that mimic the terpene and flavor profiles of the original strain. So for example, an oil derived from XJ-13flowers would be infused with the same terpene ratios as that starting material, simulating many of the strain’s natural nuances. What you will see on the current recreational market, however, is The Clear in vape cartridgeform. In my experience, most cartridge oil tastes like chemicals, gives me headaches, worsens stomach aches, is harsh on the inhale, and looks like sludge. But when I looked into the cylindrical glass of The Clear XJ-13 cartridge, I saw only honeyed amber oil, a tiny fraction of those golden orbs back at the lab. Drawing my first breath of the XJ, the vapor was mild and sweet with fruity notes that fully awaken on the exhale. Smooth and even vapor exited my lungs, leaving the gift of mellow euphoria, light relaxation, and creative stimulation without the headache or stomach ache. I reached back into my purse for a second puff of The Clear and accidentally hit a different vape pen I had in the same pocket (#LeaflyProblems), which is a CO2 pen that uses propylene glycol to achieve its fluid consistency. The taste was startlingly harsh (like that time you expected water in your cup but, nope, it’s vodka). Witnessing the production of a Dragon Ball was not only a feast for the eyes – it was a spectacle of the unique innovation and passion that’s defining and evolving this industry. Staring at the mystical Dragon Ball harnessing the sun’s light to illuminate its own amber core, I couldn’t decide which was more exciting: the idea that science and technology (as well as shifting cannabis laws) have enabled the creation of these chemically intricate products and medicines; or, the fact that there’s still a lot of mystery behind these orbs and all of the chemical constituents inside. It makes you wonder: if this is cannabis in 2016, what’s next?